Poor Benny & Lily. They let a CAT give them a Blog Makeover and NOW look where they are. During our initial design consultation, they actually asked me to put them IN A BOX. Yup, you heard that right. IN A BOX. What, do they think they're CATS??? If you know me at all, you know I'm a giver. A pleaser. I do what I'm told. When it suits me. So I was only following instructions when I stuffed the two frenchies into a box. And I'm not quite sure when I'm going to let them out. While I've got a lid on things, take a peek around and enjoy the new sights. 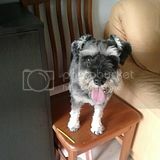 Benny & Lily won an Extreme Blog Makeover recently in the GLOGIRLY DESIGN Week-O-Giveaways. 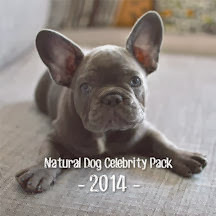 Considering their entry was outnumbered like 200 to 1, cats to dogs, they were pretty surprised when news of their big win spread like wildfire through the blogosphere. My girl and I gave them a fancy new header and logo, a coolio profile pic for their sidebar and a custom background. We also gave their blog template a font and color overhaul. A real full-service spit and shine. If your blog is bored and your feeling a little plain, just pop over to GLOGIRLY DESIGN for some inspiration. Even dogs are welcome. Ok, back to the box. I bet they're wishing they had my claws right about now. 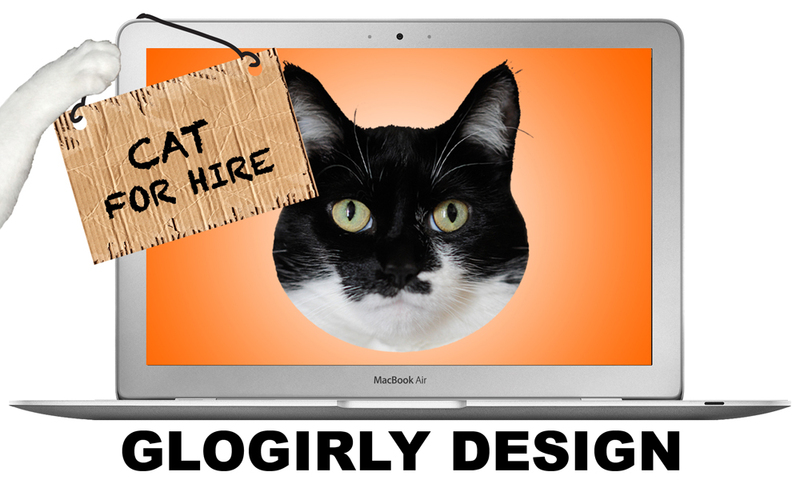 Guest bloggers Katie & Glogirly are the creative minds behind the hilarious blog, GLOGIRLY-Tails Of A Cat & Her Girl, and the latest graphic design business to hit the blogosphere - GLOGIRLY DESIGN. 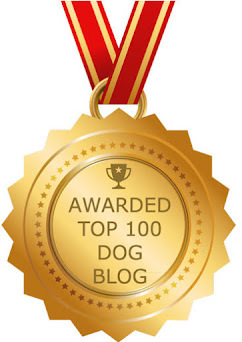 Recently the duo won the 2012 BlogPaws Nose-to-Nose Award for Best Cat Blog and was named to Bel-Rea's Top 25 Cat Bloggers for 2012. In addition, Katie's WINNING T-SHIRT DESIGN graced the chests of all the 2012 BlogPaws attendees. Even the dogs. 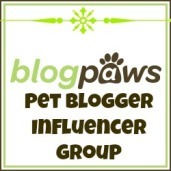 GLOGIRLY is currently a finalist in the 2012 Petties Awards for Best Blog Post. (hint, hint...shameless plug) VOTE HERE. we won a blog makeover and just love it. Please don't tell any buddy it was a k-i-t-t-y. Just say it was Katie from Glogirly design. please do. She is hilarious. I hear her assistant leaves her stranded while on vacation, is a drama queen, starves her.....you know just like our peeps. Kitty or Katie, makes no matter to us - the blog looks just great. We LOVE the new look. But please do let Benny and Lily out of the boxes. 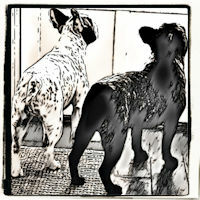 Benny and Lily...you and your friends are invited to a PAWty this weekend. Details in yesterday's post. We like the new look very much, well done Katie. Love your new design, it's purrrrfect! The blog looks great, and I know you two won't stay in your boxes for long! Benny and Lily , me and mom LOVE your new blogdesign ! WOW~ your new look is great! Not bad for a cat! We'll have to drop in for a visit. Don't worry we won't say a word about a kitty designing your blog or locking you two in a box. Wait ... did we say we wouldn't tell? Oh, we have to take that back. This is too good to keep to ourselves. Benny & Lily were locked in a box by a kitty - a girl kitty, no less. Oh, we can't wait to tell ... um, who can we tell that hasn't already read it here? Too funny and we wonder how long will it take Benny and Lily to escape or will they forever be boxed in? Happy days to you all. Let those frenchies out of the box...geeze cats!! Your blog looks great tho...I bet you were whispering to her from the box on how to do it...it has frenchie written all over it! Can't wait to see the new design!!! 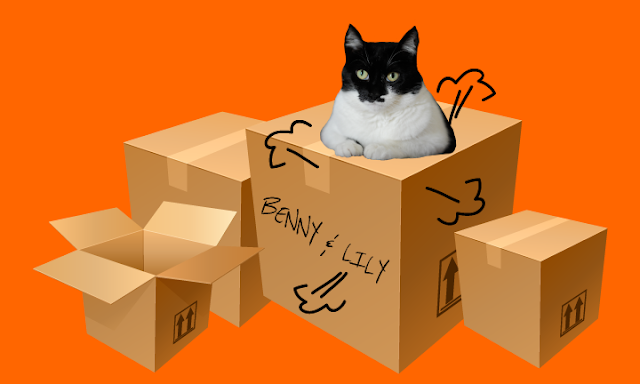 Oh Benny and Lily....I hope that you get out of that box soon!!! If you ever want to see Benny & Lily again, send 1,000,000 pounds of fresh salmon to Katie's Townhouse by midnight today, central standard time. I'm still sitting on the box. And I'm not going anywhere. I loves the new design - is you guys competing in the boxing event? Clearly you is world-class atheletes. Also I has a feeling that it is the kitty who wants eleventy billion pounds of salmons, and not, in fact, the people. Kittys is totally sneaky like that. I love the new blog look! Excellent job. The blog looks awesome but please let Benny and Lily out. They need Aire to breathe! Love your new design, it is a great look and very eye appealing!! looks great but then again it never looked bad! It looks great. We will check out the site. What a pawsome makeover! I think we've done well when I change the background picture! Love the new design. And from the looks of the header you guys made it out of the box. Out of the box is good unless we're talking about litter boxes. I love the new design I am going to check it out. I also love kitties, I have lots of kitty pals. Congratulations on winning your new design. Love the new design! Pawsome! Love, love, love the new design! Heading over to see them...you new look is so refreshing!! !